Sonoma Regional Park, Glen Ellen, Sonoma County, California. 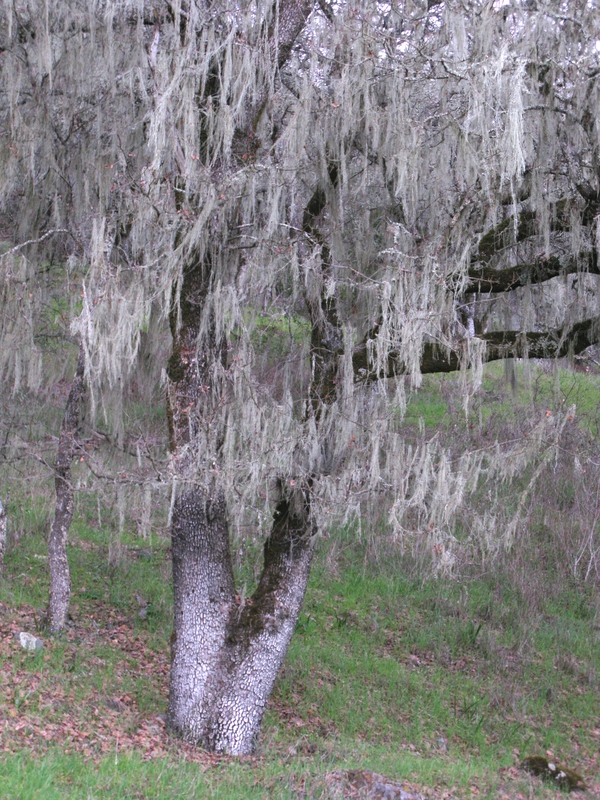 When I first came to Sonoma from the moist and lush coastal regions, these oak woodlands seemed sparse and stingy. This park is dominated by Quercus kelloggii, the blue oak, named for its thick, drought deciduous leaves that turn g reenish blue in the dryness of late summer just before they fall to the ground. I’ve come to treasure these trees for their gnarly architecture and the light they let in especially in late winter . Today I saw my first California buttercup of the season, Ranunculus californicus. There are two species of buttercup in our area, this one and the Western buttercup R. occidentalis. To tell them apart in the field, look at their petals: R. californicus has numerous petals while the R. occidentalis usually has only five. Ano ther early bloomer is Sanicula crassicaulus, which has a slew of common names such as pacific sanicle, gambleweed, and pacific blacksnake root. It’s in the Apiaceae, which is the family of plants that includes celery, carrots and parsley. The tiny flowers form rounded clusters that look like sparklers with their extended stamens. Pacific sanicle has leaves that are divided like flat Italian parsley and that persist long after the flowers have faded. A plant to look out for in the next few weeks is the lovely Cynoglossum grande, popularly known as hound’s tongue, which its leaf is said to resemble. Here it is in bud. Draping from the trees everywhere are these elegant gray green lace lichens, possibly Ramalina menziesii. Lichens don’t have roots, stems or leaves, so they are not plants, but rather symbiotic organisms that emerge from algae or cyanobacteria and a fungus. I want to learn more about them, but in the meantime I will content myself with watching them sway from the branches of this blue oak woodland. © Hannah Aclufi and viridiplantae.com, 2015. Unauthorized use and/or duplication of this material without express and written permission from this blog’s author and/or owner is strictly prohibited. Cardamine californica var. californica is the first native wildflower to bloom in our area. Also known as milkmaids, its four petals are arranged in a cross shape for which the former family Cruciferae was named (related words: English cross, Spanish cruz, Latin crux). More recently the family was named Brassicaceae for the genus Brassica, a huge family that includes mustards, radishes and cresses. Cabbage, broccoli, brussels sprouts kale and kohlrabi are all horticultural varieties of a single species, Brassica oleracea. Cardamine are delightful to behold up close or en masse; dotting the woodland hills in mid-winter, they are harbingers of all the flowers to come.